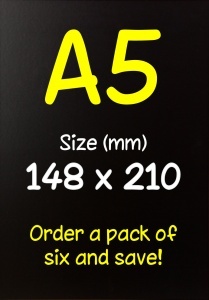 Mini unframed chalkboard ideal for advertising special offers and short messages. Made from MDF board finished with two coats of high quality, weather resistant black chalkboard paint. 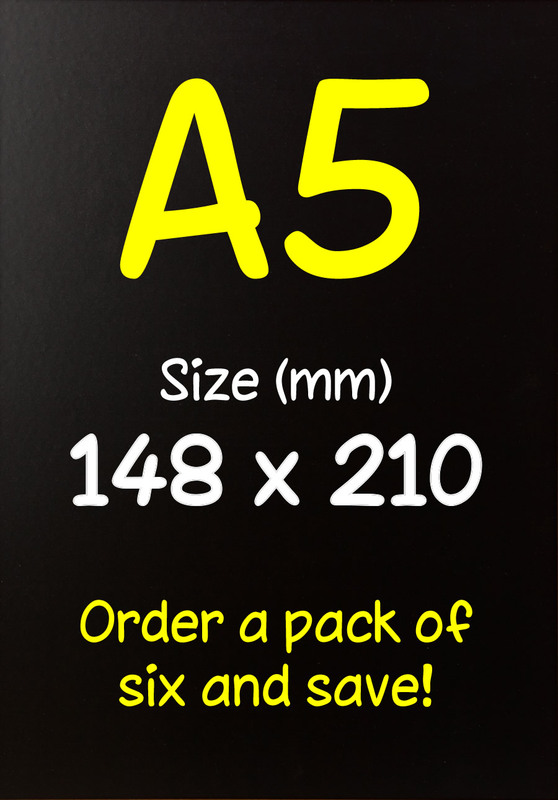 Buy a pack of 6 and save £££'s! Bespoke boards and/or printing available on request. For large quantity discounts please call 01823 698609 for a quote.